Shop displays and impulse merchandising - the way forward! Are shop displays and impulse merchandising still worth the effort? As the days of the megastore dwindle, high street retail shrinks, and footfall numbers decline one maybe forgiven for fearing the worst. It doesn’t sound great does it? But could this just be the next step in the evolutionary retail journey? Could this simply be a correction, to coin a financial term? People are still buying but are being far more considered. Yes many of us find the internet our preferred platform when it comes to parting with our hard earned cash. But we’re also social creatures and many still like to shop with friends, let alone actually wanting to touch and feel our purchases before hand. All this means is that retailers have to work extra hard to justify your expenditure. Much more effort needs to be placed on the shopping experience. 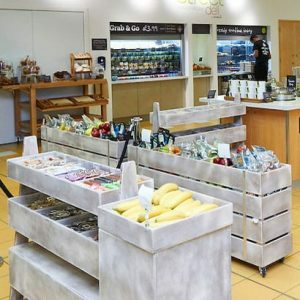 Shop displays and impulse merchandising need to be extra space efficient in small footprints to make the most use of revenue per square metre. Impulse merchandising is a great way to maximise smaller footprints. It can capture shopper interest and boost incremental revenue. This is especially so as customers wait in line for checkout. Impulse merchandise items are those a customer can easily visualise. It’s important to keep in mind that the reason people do impulse buy is because they are in a relaxed, non-confrontational browsing state of mind. Holistically speaking, for impulse merchandising to work you need to ensure a good in-store experience. You need, not only, to get the product right but also the displays themselves to maximise the opportunity. 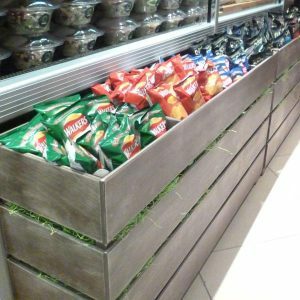 Shop displays and impulse merchandising displays in the form of counter-top displays, floor displays and in-queue displays need to be as attractive as their contents. Ligneus wooden point-of-sale displays are design to be just that. Attractive and functional, maximising opportunity in your retail space.